"The Sounds of Slavery will not only be valuable to young scholars, but . . . to young performers and composers, especially with the explosion of interest in 'roots music,' looking for new sources of original and searing music." "A work of great originality and insight." "Shane White and Graham White's book is a joy." "A fascinating book . . . that brings to life the historical soundscape of 18th- and 19th-century African Americans at work, play, rest, and prayer . . . 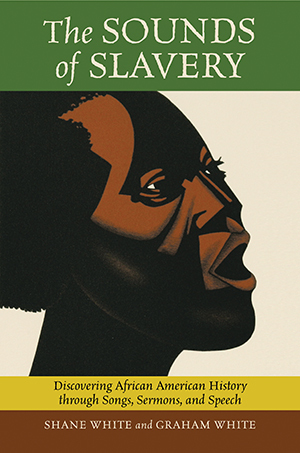 This remarkable achievement demands a place in every collection on African American and U.S. history and folklife. Highly recommended."